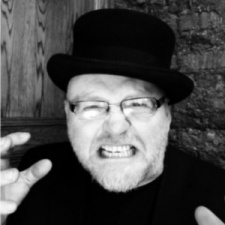 Oscar Clark (@athanateus) is a consultant and lead evangelist at Admix. I spend a lot of my time thinking about what makes games work and the design approaches that encourage players to actively desire paid-for-content. The following is intended to provide a practical guide for anyone who is interested in creating value for their players in a way that also delivers an income from it. Context - Why they do those things, i.e. What gives a sense of purpose and progression? Thinking about the anatomy of the game this way helps frame not just the gameplay; but also how we can maintain users over the player lifecycle. This is vital if we are to maximise retention, monetisation and scale to larger audiences. For each of these areas we try to think about each of the following steps (click on the view list link below to begin). For more on this topic, included is a one-page worksheet here - which if printed on A3 can be a useful tool when looking at your game in detail. You can learn more about this topic by joining the FREE Webinar on November 27th 2018. 1 What do players value? Each game is different; but truly understanding the motivation for your players in your game is the best place to start understanding what they are willing to pay for. Control: Games, unlike almost any other media, allows players a level of control and autonomy that can seem missing in real life. Games provide a safe (arguably therapeutic) place where your mistakes and successes are your own and there is no impact on your real life. Competence: Games allow players to demonstrate their dexterity, logic or knowledge to themselves or against the computer or other players. Competition can enhance the rewards associated with a sense of competence, but can also become a source of frustration if not managed effectively. Completion: Finishing a set of steps can be inherently engaging, especially where there is some predictable, yet uncertain result. Who doesn’t hate seeing a partially complete puzzle! Social capital: Being part of the zeitgeist, playing the game everyone is talking about, as well as being seen to interact in an experience that we know others value, is a powerful motivation for many players. 2 Where is the utility? Sustenance: Lots of games use Food or Fuel or some other substance which provides the sustenance needed to keep playing. Done well this provides an escape value to avoid players burning out, but can become frustrating for players who just want to get on. Short-cuts: Most games have elements that make defeating the enemy, or surviving the challenge, a little easier. When designing short-cuts think carefully about how they increase the value of playing; otherwise they can damage the player experience for everyone. Strategy: Some goods increase the range of choices available to the player rather than offering a specific linear advantage. Done well this increases the enjoyment for all players as the range of expected outcomes changes. Social: Not all utility comes from items that increase the player's stats or choices. The game's statistics, narrative lore and even customisation can deliver real utility for players; particularly where they create a sense of social capital. 3 What are the forms of items in the game? Consumable: The one-time-use ‘good’ which gives us extra ‘hearts’ to allow us to continue playing or the ‘bomb’ power-up we can use to clear a grid of candies in a match-three game. When considering the game's economy, we can often be fairly generous about giving these away - because once used they are gone. Capacity: Placing a limit on the number of consumable items a player can hold is itself a form of utility. This provides a sink for the economy, as any excess items are lost for the player; encouraging players to use them whilst they can. Upgrading that capacity through play or payment provides ongoing value for the player, which is only gained through ongoing play. Generator: The speed at which consumables are replaced, over time or through play, is also a form of utility. The humble coin-doubler increases the impact of play as a generator which doubles the value of coins earned in play. The same logic applies where we have a method that speeds up the return over time for subsistence goods such as Food/Health/Fuel. Like Capacity, this form of goods offers the best value through ongoing play. Aspirational: Objects of desire, usually items whose abilities have been foreshadowed, can be an important motivator to play or spend. The price and other conditions that sit between us and the good can even become motivators to play. However, once we have that item, they are no longer particularly important as their abilities generally become a normal aspect of our ongoing play and easily surpassed by the next new shiny thing. 4 What motivates the player to act? After we have considered the form of the elements which players value and how it can be delivered in a game, we need to consider why the player should act to obtain these items/upgrades etcetera. Impulse: When we are engaged in some activity and in an emotional state of mind there can be an urge to act; especially when they trust (or are attracted to) the person making the offer. Whilst we understand this we must also be wary of buyer remorse as this can lead to our audience abandoning us bitterly. Progression: The desire to get past the next obstacle, especially where we can predicate that we will gain a benefit; yet with some uncertainty to its nature. As with any game we carefully balance challenge and frustration and any monetisation design must be factored into this equation. Optimisation: For many, building the optimal system can become a motivation, almost a game within a game. Whether there is a clear strategy or not; the player will seek the best selection of elements in a game and that can be directed as a motivation to act. Narrative: Stories are an essential part of our cultural DNA, and are vital to play, whether a game has a literal narrative or if we create one for ourselves as part of our experience. Ensuring the player cares about the mechanics, characters and/or world they are playing in makes a huge difference when we ask them to act. Additionally, players need also to go through their own 'heroes journey' alongside the stages of their player lifecycle. Timing: Making offers that have a limited time opportunity can be a strong motivator, but we have to be aware that players can see through this if we are not being authentic or if the scarcity is so final that we take away the motivation. If we keep offering a starter pack to players who have ignored it for weeks this undermines our credibility. And if it becomes impossible to finish a collection if the player didn’t make a purchase in a specific window of opportunity they will be less motivated overall. Special offers: Presenting clear value for bundles of items or reduced prices can be very effective, however we need to ensure that these offers, like buy one get one free, are for things that the player cares about (or needs to obtain those things). Scarcity: We use Scarcity in games all the time though this often breaks in-game monetisation when we allow players to purchase the missing items, but it’s the classic economics principle that we maximise revenue by balancing supply and demand. However, this is just an element we need to consider as we balance the game. One useful trick is to have in-game items that can only be obtained through play before you can spend on paid-for resources. Transparency: There is the misconception that we shouldn’t show people the prices or what they are getting until the last possible minute in order to stop people dropping out. This is not the case. The earlier we set expectations that paying is normal, okay and what value we are giving, the better players will respond to the game (assuming that you are being consistent with what players value). 6 How does the player pay? Advertising: This is the dominant way we pay for content of all kinds, but there are lots of variations. Whether it's top-level brand endorsement or product placement in a scene, we are all exchanging our time for content. Games (especially on mobile) have unique characteristics which make ads extremely effective. In-game ads are not directly cannibalising, so we can offer rewards to players to watch ads from other games without losing our audience. We can place ads inside game worlds in ways that generate revenue for us by making that world feel more ‘normal’. Soft in-app purchase: We can make goods available through a soft currency (or perhaps some combination of collectable resources) which we can either be obtained through investing time through play or perhaps exchanging some of that time through spending. It's important that we understand the value we are setting with soft currency prices as there is a tension between cash value and long-term retention. Hard in-app purchase: Some goods really require real-world spending for the player to acquire them. Whilst there may be a form of premium in-game currency, which players can save up in some cases, in practice the frequency will be so slow that for all intents they are cash transactions. We should not be afraid of putting real prices on goods, but we should ensure that we can sustain the value we are proposing to players. Importantly, coins bought by players will usually not be possible to cash out. Social share: Sometimes, rather than exchanging time or money, we can ask players to endorse our game to people they care about. This method became over-used in the Facebook social game era and to an extent in many mobile games still to this day. However, this can be useful where the results are genuinely meaningful to both the player and their friends. 7 How would players want ads? Format: Ads come in a variety of forms and mechanisms, and each has their own place and purpose. From static to video, opt-in or skippable, in-world placement to interstitial, we need to consider the impact on the player flow before deciding which is the best method. This is not just a question of which network and how much eCPM we can get; but also the impact on life-time value. Placement: Where in the experience will you put your ads. In general, ads that require some interaction, including to skip, work best when the player is not urgently trying to play again or beat an opponent. In-world ads work best when they deepen the immersion of the player; rather than standing out and distracting from the main action. If we can set-up expectations of when players can predict the timing and placement of ads, they are less likely to become a barrier to use and can even become an incentive to act on them. Reward: It is always useful to ensure that we consider the reward for players when they engage with ads. We need them to understand that the ad is what allows them to play. With opt-in this obviously goes a lot further in terms of in-game soft currency or resources, but can also include ‘free-access’ to new items as well. There is a fine balance here, with an option to ‘double your rewards’ at the end of every level that could be seen as a ‘tax’ on players, but if they can only choose to do this once every seven minutes, then this is a strategic choice for the player in order to optimise their rate of advancement. Frequency: Ad revenue is a question of scale but it's not just more people. We want more people doing more things, more often and for longer to maximise its potential. However, this frequency is limited with the more overt formats like interstitials or playable ads against the player fatigue they create. Less obtrusive methods such as in-world or opt-in rewarded video ads can be used much more frequently without causing issues; but even here there is a limit before they become overwhelming and seen as a tax on play. There is one last factor (and possibly the most under-considered). How will we encourage the player to purchase again? Unboxing: The moment we obtain a new item (regardless of the form of exchange) should feel amazing. The items need to feel special and the act of their first use should be momentous and impact how we feel about the game. We need to be shown that we got what we expected (and more) and remember that acquiring an item in the game is a great experience in and of itself. Visibility: When we have engaged in a game and parted with time or money we should be able to look back on our treasures and see how their use impacts play. We need to be able to appreciate our commitment to the game was important and helped us get to where we are. Too many games treat previous purchases as scrap or tries to hide how much you have spent (in terms of time or money), and this eventually undermines the value proposition for the game. Rock/paper/scissors: Where each purchase introduces some planning or dilemma the more exciting the idea is to buy the other items. A bigger gun that is better in every way than my last gun is not interesting. Having a choice is empowering. Think of the difference between a sniper rifle with incredible range and accuracy but that is very slow and means I need to be prone to get the full benefits, or a sub-machine gun which has low accuracy and damage, but fires an incredible number of rounds per minute and allows me to run about. I need to own both guns to get the most out of the game; not just the biggest one. Foreshadow: Communicating ideas of the next item we can unlock; or the benefits of upgrading the items we have is just as important as the design of those items themselves. We have to create reasons for people to care about what's coming next if we are to get them to engage and repeat purchase. Each of these sections could inspire an article in and of themselves, but what we hope we have done is to get you to ask important questions. At each stage you need to understand how your players engage with your game to optimise how we generate income in ways they embrace. Included here is a one-page worksheet here - which if printed on A3 can be a useful tool when looking at your game in detail. You can learn more about this topic by joining the FREE Webinar on November 27th 2018. Read more about monetisation design at the Mobile Games University. This article's author Oscar Clark will be at Pocket Gamer Connects London on January 21st to 22nd 2019. Some great tips here thanks Oscar. What are your thoughts on having upgrades in a racing game limited by a player having to collect the right parts first? I'm looking at taking this approach with my upcoming game SuperTrucks Offroad, but I'm concerned players may need frustrated if they keep losing and want to upgrade but cant. The player can buy crates for parts, or get them in rewarded video though.